Vision. Integrity. Fearlessness. These are characteristics that give an artist the edge to be great. The edge to succeed. The edge to stay relevant, particularly after arriving into the mainstream. 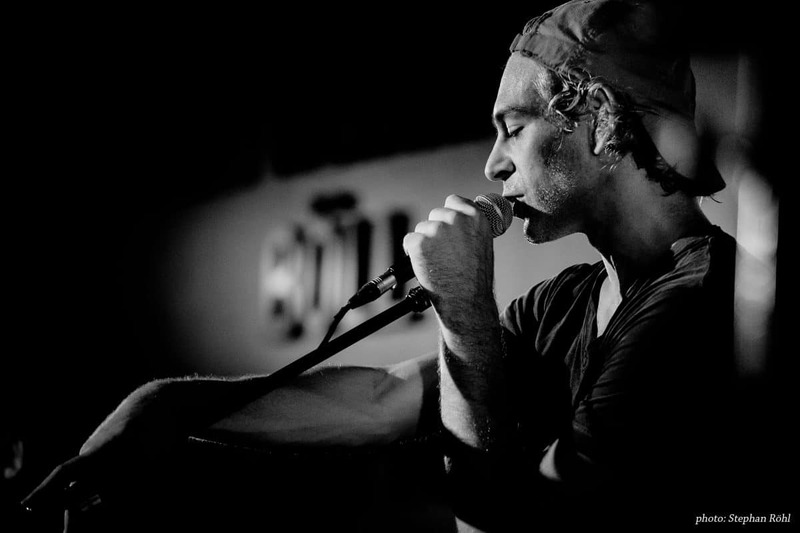 Matisyahu has been a staple of the modern reggae community since his debut in 2004. His second studio album, Youth, released just two years later, debuted at #4 on the Billboard 200 and was nominated for a Grammy. His unique persona and sincere conviction has cut through the music since day one, drawing an ever widening spectrum of fans into his orbit. But like any true artist, the need for growth and change has pushed Matis to explore many avenues for expressing himself musically. His 2017 release Undercurrent is an exceptional testament to exactly that, diving into a wide spectrum of deeply moving instrumentations and lyrics. The album was created from scratch in the studio, with a collection of live improvisations serving as the framework that this improv based album is built upon. Compositionally complex and unique, this latest release gives the listener a Matisyahu who has matured from the days of Youth into a musical visionary unafraid to create from the heart. Leading up to his March 17 appearance at Reggae Rise Up in St. Petersburg, FL, Rootfire hopped on the phone with Matisyahu to discuss the new album and the art of improvisation. Given that this latest release was built out of the essence of his live shows, Matis’ presence at RRU is primed to be fire. Rootfire: Thanks for taking the time today. I wanted to start by talking about your latest album, Undercurrent. I listened to the Tourganic podcast a little while ago featuring Joe Tomino [drummer for Matisyahu, Dub Trio] and he was talking about how this album was made from the ground up in the studio. How there really wasn’t a lot of composing that was happening beforehand. 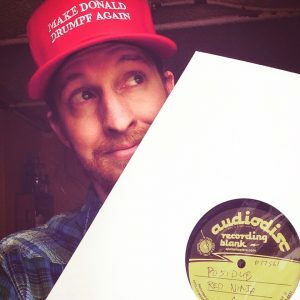 What inspired that approach to the record? Matisyahu: I was touring with a band that had more of an improvisational approach to music. The drummer was Tim Keiper, Rob Marscher was on keyboards and then Aaron Dugan [on guitar]. 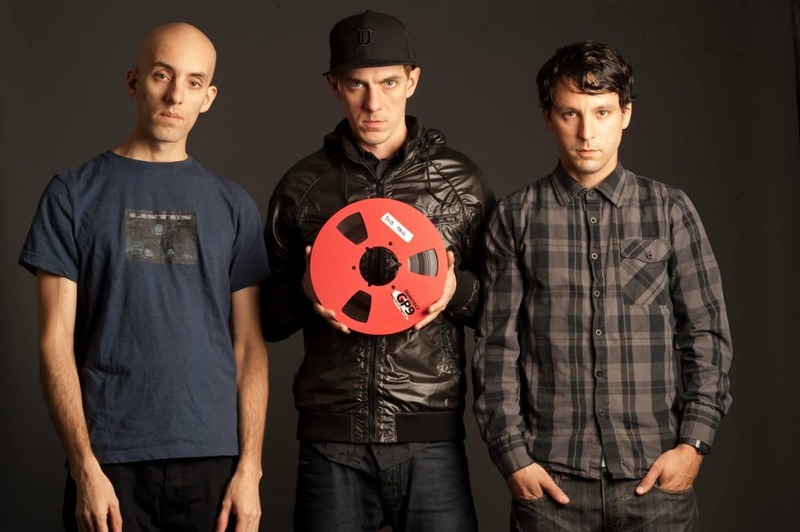 I had previously been playing with Dub Trio for a bunch of years and had started playing with them because I had fallen in love with their sound as a fan, and the music definitely had a certain approach to it. That sort of hypnotic, swampy, dubby hip-hop flavor with like a rock flavor. Definitely less of a jam thing and more of a Dub Trio type of style. After several years of doing that I wanted to kind of switch the approach and make it into more of an improvisational jam style. But I really missed the edge that Dub Trio provided with the music. So I tried to figure out a way to combine the two things. I brought Stu [Brooks] back in, being that Stu is kind of the only bass player I’ve ever played with that really has that low frequency, that sub frequency. He understands reggae and hip-hop in the same way that I do. Because there’s lots of different types of reggae bands. There’s SoCal reggae, there’s Vermont Reggae, you know. But the specific flavor, the reggae that Joe and Stu bring to the table is just, that’s what I was looking for. So I brought Stu back in, Rob left the band, and we brought in [Big] Yuki. And Yuki is a whole ‘nother element. I don’t know how much you know about him and where he comes from, but that created a whole new dynamic in the music. So we went in to the studio after tour, Tim, Stu, Yuki, Aaron and myself, got a room in Brooklyn, and just sort of sat together and listened back to all the improvisations from the year prior. We would do our live set or soundchecks and we would record them on a little cheap recorder. I wouldn’t write any setlists during that time period, and I really put the focus on the improv. I would say 60 percent, 70 percent of our show was improvised. We would use the songs as jump off points, but a three or four minute song would turn into an eight minute improvisation. We would play maybe, I don’t know, seven, eight songs a night. We went back and we listened to those recordings and then we started to come up with arrangements and forms to some extent, with the idea being that after that month in September we were going to go into the studio and basically try to recreate that same vibe on a record. Not use an outside producer and not really write songs for radio, but try to really kind of capture what it is that we were doing live, because there’s sort of a disconnect between what people knew of my music from the records and then what they expected at the live show. So I was like, let me put out a record that is actually representative of what I enjoy doing, what I’ve been doing for the last several years. At that point we made a decision to switch out Timmy for Joe. That happened right before we went into the studio, the reason for that being that there was just a certain kind of edge that Joe brings with the hip-hop and the connection between Stu and Joe. The vocabulary that Joe and Stu have, the dub vocabulary that they have, there’s really no one else that can do that. So I sort of had that side, and then I had Yuki and Aaron that come from more the jazz and the rock background, and it felt like that would be a good meshing of the sounds, with the rhythm section coming from the reggae hip-hop place and then the melodic instruments coming from more of the jazz improvisation school. And we went into the studio with these sort of loose forms. I think we spent about two weeks, we recorded basically all the music and I didn’t write or record any vocals during that time. And then basically I took that whatever it was, 60, 70 minutes worth of music, seven or eight tracks, and I just locked myself in a hotel room walking distance from the studio for about, I don’t know, five or six days. And I wrote and recorded all the vocals and melodies on top of those tracks. RF: That’s an amazing story. I really feel like you accomplished that edge that it sounds like you were going for. There’s just so much creativity in that album, it’s a super unique record. I was at the One Love festival last month and I noticed that you had two appearances there, one of which was playing the Live at Stubb’s album in its entirety. I’m curious, especially after hearing about the new record with such an improvisational approach, what was the inspiration for playing that classic Live at Stubb’s setlist? MY: It was just an offer from the promoter with an inflated price to play the Live at Stubb’s set. RF: Got It. And so that’s not something you’re touring with, it was just a one-off? MY: Right. It was just a one time thing because the promoter paid me extra. You know, I got three kids in private school. MY: But at the end of the day, it kind of did a cool thing for me, which was like, it kinda helped me appreciate, to some extent, that record again. I haven’t listened to that record in 10 or 15 years since it came out and it was nice to go back to it and feel the nostalgia and see the reaction from the crowd and to kind of have the realization that this is a record that people love and it has that kind of youthful energy. And it kind of brought me back to that time period a little bit. So we are incorporating that into the current show. Currently now I’m writing set lists and we’re still improvising a lot, but I’ll throw in, you know, like the Live at Stubb’s version of “Close My Eyes” or you know, I’ll do one or two songs a night that will be like a throwback and it balances out the set a bit. RF: I can see that for sure. From my understanding, you were traveling as a fan with the band Phish before you made it out as an artist. Obviously they’re a very improv based band, and it just seems like this improvisational energy is something that is really prevalent for you. What’s the magic there? Is it just something that builds up the crowd more? Is it more so for you guys on stage? What is improvisation for you? MY: To me that’s the art. It’s just flexing a different muscle. It’s like a different part of your brain. Anytime that you do something over and over again, like playing parts in music, especially when you’re playing five, six nights a week for 13 years, 200 days a year. I mean there’s not a lot of people that grind out there like I do. My life has been, you know, on stage making music, being on tour. It’s not like I’m an artist that is in the studio all the time or doing co-writes all the time and then I go out and tour with a record. The way that I make a living is being on the road. And there was a certain point in my career where I just started to not enjoy it and not enjoy my own music. And then there would be these kind of moments where the music would open up and something new would happen and that would force me to do something new, whether it’s create a new melody or bring out different lyrics or freestyle. And to me, like the whole musical journey—when people come to a show, you can play them the songs that they want to hear, but at the end of the day they can go hear those songs in their living room better on a record and they can just turn it up. But when you’re playing a song and you open up a jam and then that jam sort of—to me it’s like taking a walk through different rooms in a house or something like that. It’s like you’re going into different environments, you’re taking people into different soundscapes and different places. RF: Yeah. That’s great. I know we’re just about out of time here, but why don’t you tell us anything that’s coming up for Matisyahu. You have anything that’s in the works right now you want to share? MY: Right now we’re on tour, it’s the “Forest of Faith” tour. We did a long like three-month long tour called “Broken Crowns” and I’m kind of in a much different head space right now than I was then and just feeling really on top of things and every night the music is just pushing and pushing and going further and further. I get back from this tour in a few weeks and it’ll probably be time to start thinking about making some new music. RF: I love the “Forest of Faith” track on the new album; that’s awesome that that’s the name for the upcoming tour. Well hey man, thanks for taking the time to chat with me for Rootfire and I’ll be out at Reggae Rise Up coming up here so I’ll try to track you down and put a face to the voice. MY: Yea man, come say what’s up. That’s the last show of the tour so by then we should really be on point. We are now, but by then we should really be for sure. 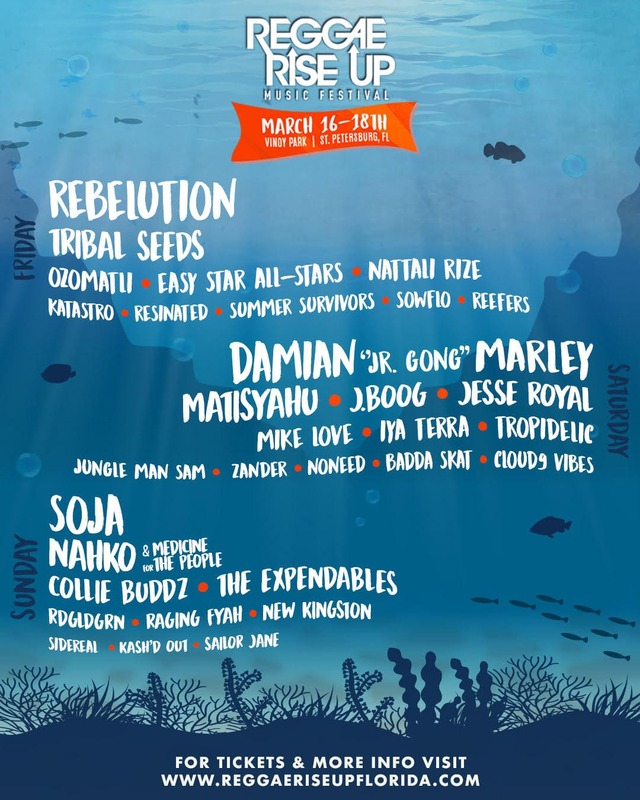 Matisyahu plays Reggae Rise Up Florida Saturday, March 17. Pick up your tickets and join the three days of festivities at Vinoy Park in St. Petersburg, FL.